Nice Coaches is the largest operator in the country providing luxury or executive coach services and is supported by more than 20,000 loyal members whom are privileged with points that can be exchanged with free tickets, merchandise or holiday packages. Nice is an executive or luxury coaches meant for upper middle class passengers including senior working executives and business travelers. It was one of the firsts in the country to introduce "executive coaches" with full on-board services hosted by a steward/stewardess throughout the journey. 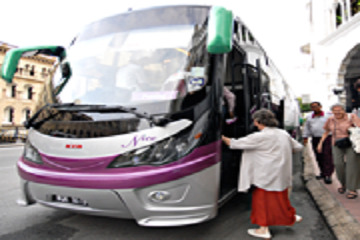 Nice Coaches offers more than 50 bus routes daily across Penang, Kuala Lumpur and Singapore. 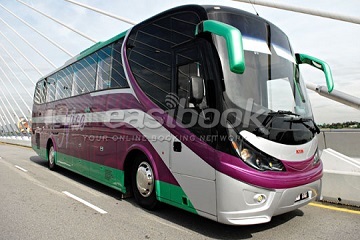 It has 10 bus routes depart from Sungai Nibong Penang to Terminal KTM daily. Besides, Nice also offers more than 20 routes depart from Singapore to Terminal KTM and Terminal Bersepadu Selatan (TBS) daily. 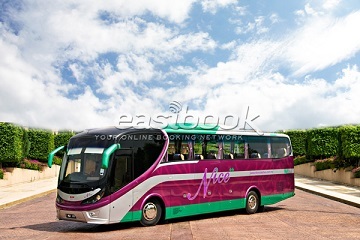 In addition, Nice also provides bus services depart from Kuala Lumpur to Penang and Singapore daily. Nice Coaches operates two sub-brands with “Nice++” as a leading flagship out of a fleet of 50 buses. “Nice++” is the first executive coach in the country with individual LCD screen with a selection of pre-programmed digital movies. Nice executive coaches are also the first in the country with its service pantry located at the front of the coach to give its passengers an “airline” feel, and at the same time isolate its passengers from undesirable frontal traffic noises and view. 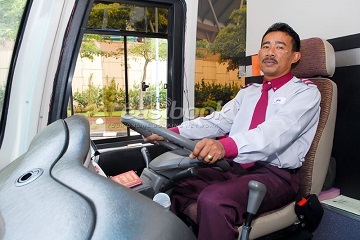 Nice provides two types of buses to its patron which the buses are in single deck and double deck. 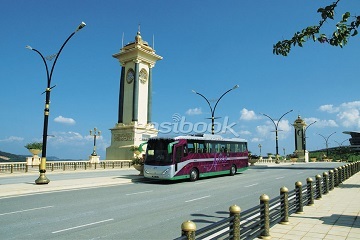 The good services offer by Nice makes it one of the most popular luxury coach operator in town.